In my own experience, I consider the perfect Hunter Valley holiday to be one which engages with the unique aspects of place and its produce. I want to literally taste the Hunter Valley on my lips via food and drink possibilities. I do not want to go to the Hunter and consume the same victuals that I eat at home. What is the point of travel, if you do not do as the Romans do in Rome? This part of NSW is full of award winning wine growers, food producers, restaurants, hotels and natural features to explore. Think of Maitland, Singleton, Cessnock, Paterson, Pokolbin, Wollombi, Rothbury and Lovedale, and you can almost taste the crisp grape tingle on your tongue. Love is a finely crafted glass vessel full of verve and surprise. You can, even, take a balloon ride above the vineyards, to survey the splendour beneath you. There are terrific golf courses, if a good walk spoiled is your cup of tea. Greg Norman, Jack Newton, the names of champions and course designers, just, drip off the tongue. Take a swing through the vineyards and putt your way to a vintage or two. Alternatively, you may like to spa your way through the Hunter Valley, and I do not refer to the pugilistic meaning of the word. Rather, you can stretch, bathe, and be gently pummelled by massage therapists bearing essential oils and hot rocks. The day spa exploration may open a golden door or two to peace and tranquillity. Sipping elegant wines in spa tubs and indulging in clouds of aromatherapy can only be good for the soul after all. Herbs that heal are, also, on the menu at these superior spa facilities in the Hunter. Culinary creativity is a big part of the perfect Hunter Valley holiday in my book. For those getting away from leadership spills in Canberra, it is the perfect getaway. Cooking up a storm to soothe the savage beast of a conservative’s coal mine fantasy is an appropriate alternative. The local produce is world’s best and fresher than fresh. Artisan cheeses, chocolates, game meats, smoked fish, olive oils and more, will please your palate and have you asking for more. Sup on culinary treats and sip the wines of the rural gods. Hunter Valley is considered as the oldest wine region in the country. If you want to experience phenomenal wine and gastronomical food, Hunter Valley is just a two hour-drive from the NSW capital. Aside from indulging fantastic wine and gourmet dishes, Hunter Valley is also a refuge for relaxing spa retreats and zesty concerts in the vineyards. After a tiring day of visiting vineyards and wandering around, one might feel muscle aches and joint pains. When this happens, here is a list of some of the osteopaths and chiropractors in the Hunter Valley. Osteopaths and chiropractors in the Hunter Valley are also just as good as those in the city, like Sydney chiropractor Hooman Zahedi. If and when you experience headaches, migraines and shoulder pain, among other things, you should visit the following osteopaths and chiropractors in the Hunter Valley. Hunter Osteopathy has been providing relief to aching joints and muscle pain in the Hunter Valley for over two decades. Right now, their specialised services are available in their clinics at Maitland and Singleton. Hunter Osteopathy gives a personalised approach to your healthcare needs, which is focused on making you feel better and in improving your health and well-being. Since each person’s osteopathic needs are unique, Hunter Osteopathy’s treatments and services are specifically tailored to their customers. By using an array of osteopathic techniques, such as soft tissue massage and joint manipulation, Hunter Osteopathy guarantees that your musculoskeletal problems will be gone in no time. Choice Chiropractic is one of the best chiropractors in the Hunter Valley. Their clinics at Edgeworth and Cessnock are fully-equipped with modern equipment, spacious treatment rooms, an x-ray and diagnostics room, and toilet facilities for everyone, including for the disabled. Choice Chiropractic believes that we should not bear life’s toils. In fact, we have a right to get the most of our life. Through their services, which include chiropractic care, corrective exercises, massage therapy, and nutritional and lifestyle advices, everyone can feel at ease and relaxed in facing their day. Aside from providing health and wellness solutions, Choice Chiropractic comprehends how your well-being is hinged on your spine and nervous system. As a result, customers can look forward to a pain-free lifestyle brought by the experts in chiropractic care. Hunter Valley Chiropractic is dedicated in delivering only the best chiropractic care for everyone. Their approach to your needs is based on the idea that our mobility and functionality is dependent on our structure. If spinal misalignments are present, these can seriously affect our health and lifestyle. Hunter Valley Chiropractic offers products that will help lessen our chances of having joint pains, muscle aches and spinal problems. Examples are pillows, sports tape, therabands and exercise balls. They also provide massage therapy, which can magnify our body’s healing abilities. In addition, their massage services will eliminate the toxins from your body while relaxing your muscles and relieving the pain. Scott Ricketts is a professional Sydney tour guide and owner of Your Sydney Guide. He is passionate about giving visitors to Sydney and those resident there the adventure of finding hidden secrets in the New South Wales region. He has had a passion for travelling as long as he can remember and his adventures has seen him journey through the UK, Europe, North America, The Pacific and many parts of Asia, including guiding several snow tours into the deep powder of Hokkaido, Japan. He also loves exploring my own backyard and believes there is nothing better than the delights of The Hunter Region, commonly called The Hunter Valley. It is one of the largest river valleys on the NSW coast and located 120km north of Sydney. This close proximity to the Sydney CBD makes it one of the easier day trips from Sydney that Your Sydney Guide offer. A short drive time and allows a full day of relaxing amongst the delights of the region. Scott takes minivan tours to the region and is motivated to personally sculpt the day to suit the group. The small party tours allow the revealing of Sydney’s regions to his guests in a friendly, relaxed, attentive style that is matched by their interests. Scott is both an adventure guide and IATG accredited Sydney Tour Guide. He launched my own boutique tour business to deliver a fresh alternative to Sydney visitors. Your Sydney Guide offers a tailor made tour of the Hunter Valley that are fully personalised to guest requirements. Tours are tailored to be as adventurous or as relaxed as they like with a pace and itinerary to suit. Guests can log their ideas and requests for their trip to ‘The Hunter’ during the booking process and itineraries are confirmed via email to ensure that the perfect tour is arranged. Guests enjoy that they are flexible enough to include their special winery or iconic location in what will be for many their one time visit to the region. 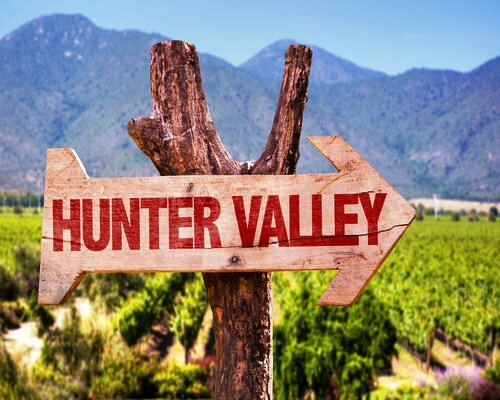 If you are looking for a travel agent to help you with planning a trip to visit the Hunter Valley or other holiday destinations in the New South Wales region, visit www.Going.Expert who list consultants who have been to the Yarra Valley and give you great first hand insights into the the region and recommended things to do. A huge number of individuals stay in hotels or resorts on a regular basis. These places are packed especially during the holidays and other occasion. It is good to hear that you will not be find any shortage of hotels & resorts that are available in the present and more establishments are being constructed to accommodate the needs of each and every one of their guests. One thing to note when staying in these hotels are their security. Let us look at the security for B & B accommodation providers as well as with their guests. Stories about hotel room thefts is pretty common with guests returning to their hotel room after activities are over only to find their bag and many of their electronics were gone. This is indeed not a pleasing sight to see. One way, hotel owners are able to add the much needed security is by offering safes in the room where they can store their valuables up. With the help of modern technology, security has taken a huge leap with the introduction of electronic lock system. This however, did not stop perpetrators from hacking into their security. A good example of this is when a security flaw in common keycard locks was exploited in string of hotel room break-ins. Reports stated that the room’s lock hadn’t been picked, and hadn’t been opened with any key. Instead, it had been hacked with a digital tool that effortlessly triggered its opening mechanism in seconds. This is indeed a cause for concern not only to hotel owners but also with their customers. Fortunately, the age old advice on how hotel theft is prevent can still be applied in this present day and age. One of the best ways to prevent thieves from preying on your guests is to make sure they are not hired to work at your hotel in the first place. Hotel owners are able to do this simply by checking the criminal background of each and every employee. This in turn helps the potential for future issues with a worker who has demonstrated criminal behavior in the past. It should also be noted that employee screening is not finished once the hire is made. It should continue with regular but unscheduled drawer counts, inventory checks and personal inspections to ensure that company items and cash are not being pocketed at any time. There is indeed a lot of factors to look into when identifying key hotel security concerns. Hotels need to ensure that their key card access systems are not vulnerable to hacking or unlawful access. Updating their security system and changing their passwords from time to time is greatly recommended. For maximum safety, posting security personnel around the clock at front entrances and other access points is vital. Having homestay security is quite handy as you can get in touch with them at any given time when the need calls for you to do so. Security personnel are able to report suspicious activity, conduct property tours and protect guests and guest information from outsiders. Another handy security tips for hotel management is to educate their guests. Hotel staff has a responsibility to educate guests about safety and security responsibilities. For example, the bellman can stress the importance of locking hotel room doors to prevent strangers from entering. Always be vigilant and have a safe stay in your hotel. The Upper Hunter Valley is the Horse Capital of Australia. It is home to Australia’s multi-billion dollar thoroughbred industry. The region has 200 year experience in equine development. The thoroughbred breeding region is also internationally acclaimed as one of the three international centres of thoroughbred breeding excellence. Upper Hunter is ranked number two to Kentucky, USA in based on the concentration of thoroughbred stud properties and the quality and number of bloodlines. It is the largest domestic producer, supplier and exporter of premier quality thoroughbreds. The horses of the Hunter Valley produces a wide range of equine breeds like heavy draught horses, horses for carriage work, endurance and other sports such as racing, polo and polocrosse, dressage and recreational use. Scone, Upper Hunter promotes itself as the “the Horse Capital of Australia. Scone is home to more than 150 thoroughbred stud breeding business producing millions of dollars’ worth of foals every year. The headquarters of Australian Stock Horse Society, the largest individual breed association in NSW is in Scone. It is also the largest equine recreational and pleasure horse association in the country. Scone Polo Club, one of the largest clubs in Australia dates back to 1891. Scone ‘Horse Sports for Schools’ is one of the largest interschool competitions in the country. The Hunter Valley’s geography and moderate climate is ideal for producing premium quality horses. The horses of the Hunter Valley are renowned for their strengths, toughness, resilience, endurance and versatility. Most of them are valued for stock work on farms and for competitive sports performance on polocrosse and camp drafting. Hunter Valley horses make up around half of all thoroughbred horses born in Australia. They are the largest source of thoroughbred exports in the world. 80-90% of all Australian thoroughbred exports are sired from Hunter Valley. The regions premier bloodlines dominate the export market. Horse racing is part of Australia’s history and heritage. It is one of the oldest sports in the country. The history of horse racing dates back in 1810 when the first official thoroughbred race was held in Hyde Park, Sydney. Cessnock Racecourse in Hunter Valley holds 13 race meetings annually including Anzac Day, Tooheys New Cessnock Cup. Gambling on horse races becomes a popular pastime. Horse racing gambling evolved over the years. Today, punters place their bets online with different bookmakers who offer free bets to entice people to bet on their website. Horse breeding, training and racing is part of the region’s heritage and history. The Hunter Valley thoroughbred breeding spans 150 years. Widden Stud is one of the oldest family owned studs in the world breeding commercial thoroughbreds and champion racehorses. It breeds around half of all thoroughbred horses born in Australia. It is also internationally recognised as a major source of international Group 1 winners – the equine equivalent to Olympic Gold medal winners. Stallions and broodmares raised in the region are among the finest in the world this include Pharlap, Makybe Diva, Kingston Town and Tulloch. International operators such as Coolmore, Darley and Emirates Park supports stallion farms in the Hunter Valley such as Arrowfield, Widden, Newgate Farm, Vinery Stud, Turangga Farm, Yarraman Park, and Kitchwin Hills. If you want to know about the horses of the Hunter Valley, the stud tours will take you on a unique journey and discovery. Tours can be booked through commercial operators such as the Hunter Thoroughbred Breeders Association or Upper Hunter Tours. Tours are by appointment only on HTBA, you need to be booked 5 days in advance. Call HTBA for package deals and group tours. The Hunter Valley is home to a multifaceted array of recreational pursuits. Yes, there is an abundance of vineyards, restaurants and fantastic Australian wine. In addition, however, there are also plenty of physically and spiritually healthy activities to partake in. Yoga is on the ‘must do’ list for every other person you meet these days; and why not? All that breathing and stretching in graceful poses cannot but help with physical flexibility and core body strength. Not to mention the spiritual dimension, where one is in appreciation of being vibrantly alive, right now on this very planet. A good life, I have been told, is all about balance. Yoga people know all about physical balance. A recipe for balance, for some, might be, a glorious yoga session outside in the Hunter Valley in the morning, horse riding in the afternoon, and a glass of Hunter Semillon or Shiraz accompanied by a delicious dinner in the evening. Alternatively, the recipe may include a round of golf on an award winning designer golf course, an afternoon yogic stretch to relieve those golfed muscles, and then the fine wine and Hunter produce in a sensational restaurant. Yoga and wine both work on the senses. An enlivening session of stretching asanas will make your wine taste even better. Yoga and wine in moderation make for a more profound experience of living. The grape reaches back into the far distant realms of human history; it has accompanied humankind for a very long time. Bacchus and Dionysus are the gods of ritualistic ecstasy, divine madness and the grape has been their elixir of choice for ever. Yoga has an equally long lineage, with the gurus of India. Check out ACM Yoga Group for detailed information pertaining to the origins of yoga. There are plenty of wine tours available in the Hunter Valley. There are also yoga retreats and tours happening here. There are sensational places to stay in this unique part of the world. There are delightful restaurants and cafes to nourish your recreational activities here in the Hunter. Yoga and wine: the Hunter Valley unites these disciplines for your living and breathing pleasure. Remember the balance and avoid the fanatic. All yoga and no play makes Jenny and Jost a dull girl and boy. Equally, nobody likes to loll about with a lush for too long. Find your balance in the Hunter Valley. Looking for some romantic ways to spend time with your special someone? 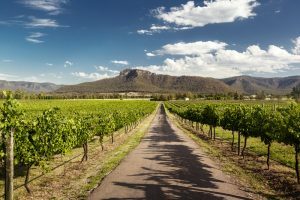 The Hunter Valley a part of the premier wine-growing region in New South Wales, offers a taste of good life with many attractions and things to make your stay memorable. We’ve come up with 12 most romantic dating options in the Hunter Valley. 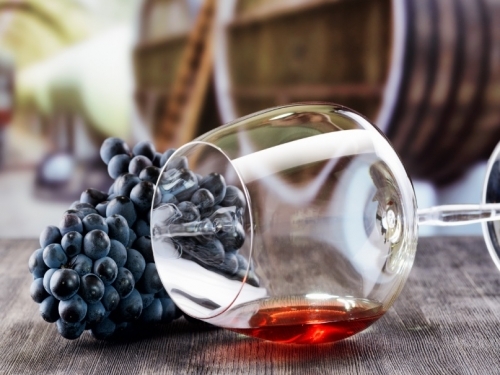 Wine tasting tour is a not to be missed activity in the region. Wander through vineyards together on a wine-tasting tour and experience how wine is actually made from the grapevine to the bottle. The Hunter Valley vineyards are equipped with picnic areas, hiking trails and even pools this is an all-day destination. No matter what the season is, you can take the reins and have a get-together on the horseback. Hunter Valley offers a selection of rides for both beginners and experienced riders. Find the nearest stables and rent horses, take laps around the area before trotting out into nature. 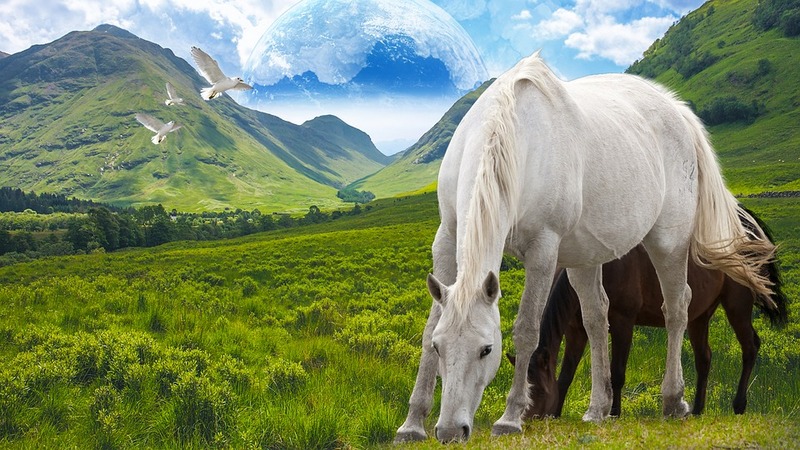 Gallop together and enjoy the sceneries. If you feel the need for a total unwind, visit the spa at Hunter Valley to relax, rejuvenate and recuperate. Relax your body and ask for side-by-side body treatments or massage. To make the most of the day, look for a spa with complimentary amenities like mineral pool and dry sauna. Spa treatment would perfectly enhance your romantic getaway. Playing golf is great fun; the Hunter Valley has a selection of championship golf courses to choose from. Ask your partner about his putting techniques; add your strokes for each hole and the loser buy the drink. Keep your date simple with a stroll through the park. Buy your favourite ice cream and get to know each other while you walk. Bask in the lavish array of colour from variety of plants and statuary. The Hunter Valley offers stunning wilderness to stroll, hike, bike and camp for longer escapes. Hunter Valley is not only famous for its quality wines but for its beer as well. Talk to the Brewers or sit back in a relaxing beer garden whilst enjoying a tasty snack. You’ll learn how beer is made and get a token of free beer for all your efforts. Have you met your special someone online? Online dating has lost much of its stigma since match.com launched on April 21, 1995. Now majority of people say online dating is a good way to connect to more single people. A lot of people know someone who uses online dating like RSVP to find romantic dates. There are different dating sites for different people. Spiritual people find their soulmate or twinflame in spiritual dating sites like SpiritualSingles and eHarmony. People who want quick fun and hook-up find mates in AdultFriendFinder and Hookupz. However you meet your mate, there are surely different activities in the Hunter Valley to make your date special. Wine and cheese? The Hunter Valley Cheese Factory is the perfect stopover to break up a day of wine tasting tour. Watch cheese makers in action and taste handmade preservative free cheeses. Buy some cheese and pick up a hamper to accompany a new bottle of wine and set up a picnic somewhere. The Smelly Cheese Shop is another great cheese specialist to drop by on your trip. There’s nothing quite delightful as a picnic at the Hunter Valley when the weather is fantastic. Vineyards have lovely grassy spots and trees that surround the area where you can bring your hamper and picnic blanket. Beautiful scenic spots have romantic ambience where you can spend your picnic. There is no shortage of walking track in the Hunter Valley. National Parks takes hikers through pristine wilderness, including rainforest and outstanding sceneries. Bring your camera and binoculars; there are plenty of opportunities for photography or birdwatching along the way. Be amazed by the romance of floating over the gorgeous Hunter Valley region. A hot air balloon ride will lead you to a spectacular view of the valley. Sunrise or sunset is the best time to witness the wine regions of Pokolbin, Lovedale, Rothbury or Broke in an unforgettable setting. The Hunter Valley has never been a better place for a romantic dinner from casual tapas to artisan cheeses and full degustation fine dining. There is a flourishing restaurant scene at Hunter Valley that is exciting locals and visitors alike. Go to a wine tasting tour, go horseback riding, plan a picnic or stroll on the park – be sure to take plenty of fun and silly Instagram pictures. Document your time together and create awesome memories. Looking at the photos of you and your special someone will make you even more connected. Retirement is the perfect time for elderly to enjoy, relax and unwind for the remaining years of their life. They indeed definitely deserve it especially with the service that they have rendered to the community throughout the years. It is good to hear we have an adequate amount retirement options that are available to the ageing population. The same can be said in the Hunter Valley as they provide retirement homes in different variety that. Listed below are some retirement options in the Hunter Valley that you can check out today. Adelene Retirement Village is able to provide their clients with quite a fair amount of options with regards to their preferred retirement home of choice. Choose between different units depending on your preference and budget allotment. They have retirement homes that are able to have a maximum of 3 bedrooms, 2 bathrooms and a garage. In addition, having the price listed gives their clients a firm overview in terms of their finance allocation. They also have the much needed amenities and facilities to make your visit and stay truly rewarding. Find private gardens, community TVs, BBQ areas, Community centre, Golf club, a library and many more. You will definitely enjoy your time spent at Tea Gardens Grange, Retirement Village especially with the care and attention that they provide to the residents. They have an emergency call button that provides 24/7 on-site help. Residents don’t have to stay at home throughout the rest of the day with the huge amount of amenities and facilities that they provide. Find gym, library, pool, licensed clubhouse and village bus for twice-weekly shopping. Mahjong, craft, bridge, exercise class, water aerobics, choir, ukelele class, tai chi, carpet bowls and Zumba and many more. This particular retirement home is able to hold up to two persons with two bedrooms, one bath and garage while also offering low maintenance gardens with a peaceful outlook that is perfect to those who want to just sit back and relax. This fully furnished luxury villa has all the work done for their clients. Equipped with high end window furnishings and a fully landscaped back yard, this impressive open villa has 2 bedrooms, a single lock up garage as well as a well-appointed kitchen with, dishwasher, range hood, microwave, wall oven and glass top cooking. These are some of the many choices that are available with regards to the retirement options in the Hunter Valley. It should be noted that Superannuation funds contribute greatly in helping the ageing community to prepare for their retirement in the coming years. Make sure that your retirement options are fully covered by preparing them in advance and in as early as possible. If you’re a lover of fine wines, you must have dreamt of owning a winery. Imagine wandering through the vineyards, having the opportunity to enjoy what you love and turning it into a profitable business, plus the bonus of having your very name on the label of a great-tasting wine. The wine industry is a growing industry as rich as a chilled bottle of Chardonnay. It’s a mega billion dollar industry which has a predicted long-term sales growth of between 4 and 6 percent. Wine sales have more than doubled since the early 1990s and the sales of wines produced have increased despite the downturn in the economy. Not to crush your dream or anything but as promising as that sounds, the thing you need to know in running a winery is that it’s a very expensive and time-consuming venture. You have to have a lot of passion, commitment and patience as it’s hard labour. Furthermore, returns on investment generally take years to realise in this kind of industry. The costs of running a winery are so great that it can scare away all but the most devoted connoisseurs of wines. The land alone in the Hunter Valley can cost you hundreds of thousands of dollars per acre. You’ll also be spending on winemaking supplies and equipment which can easily reach seven to eight figures. If money is not enough – which could very well be the case – there’s always a wealthy family member, a friend or an investor who may be willing to assist you, or perhaps applying for business loans or any kind of debt financing can help you with the funding of your winery dreams. Find a good land location ideally suited for grape growing in terms of soil content and lot size. Avoid building a winery in a lesser-known region as you’ll not likely find a market much beyond that locale. Apply for permits and licensing requirements. Set up a warehouse ready with production equipment and a tasting room. Purchase necessary equipment. Aside from the standard office equipment, you’ll also need vehicles for transporting grapes and wine crates, tanks, pallets and a forklift for moving pallets around the warehouse. Market to current and potential clients. Buying an already established winery if you have the means so you don’t have to start from scratch. Focusing on retail wine sales first. Building wine brands. You can own a wine business and have no vineyard. If you’re starting and want a cheaper way to get into the business, this would be a good way to go. Establishing a fully functioning winery is a huge undertaking and if you want to be a success in the highly competitive winemaking world, you need to have a deep pocket, long range vision, in-depth knowledge about the industry and an unwavering belief in the end result. Osteopathy is an alternative form of treatment that is often used to treat several physical ailments and conditions an individual is suffering. This ranges from general conditions which include neck pains, headaches, knee pains, joint paint, stiffness and the likes. Common sports injuries may also be treated with osteopathy such as a tennis elbow or a repetitive strain injury. You will find a body and mind clinic at Back to Balance that offers osteopathy treatment and psychology aid to their clients with its EMDR Therapy. Newcastle’s leading integrated health care centre, ATUNE Health Centres provides a variety of treatment which their clients can choose from. This includes Osteopathy, Physiotherapy, Naturopathy, Psychology and the likes. People of all ages are welcome at Newcastle Osteopathy with its caring and professional environment that allows treatment for a wide range of conditions. 4. Beech Health PTY Ltd.
Beech Health gets on with the point as they provide osteopathy treatment to their patients whenever they need it the most. Their practitioners also have the knowledge and expertise to be able to perform the treatment well along with their requirements. Nelson’s Chiropractic & Osteopathic Centre brings to the table their huge amount of experience in the field of osteopathy. Dr. Chris Nelson’s 44 years of experience in the Paramedical field assures patients that they are indeed being treated by a professional. Find a warm and relaxing atmosphere to accompany your treatment found at Osteopathic Clinic. Enjoy their friendly and welcoming staff as they guide you before, during or even after your treatment. Learn the cause of your pain as you pursue a simple yet effective alternative form of treatment. Raymond Terrace Osteopaths is able to provide their clients with the right amount of answers with regards to their general issues and concerns about their health. Gerry Rosanove not only performs osteopathy but also a variety of techniques which their clients can greatly benefit from as he assists them in every step of the way. Charlestown Chiropractic & Osteopathy has been in industry for a quite some time with its 30 years of providing high standards of care to their clients. Another osteopath clinic with a lengthy amount of experience can be found at Central Coast Osteopath. Shane Caulfield the main practitioner of osteopathy has been practicing this for 20 years. As a result, patients feel much more reassured as they have the backings of a professional. 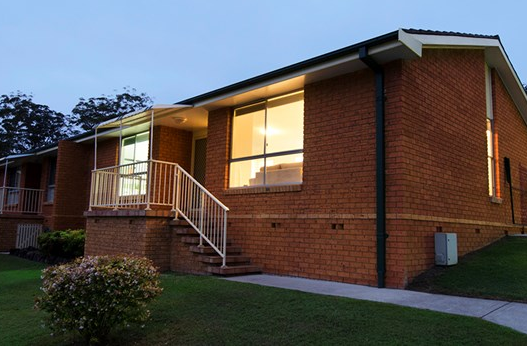 Accommodation Pokolbin, accommodation in the Hunter Valley, self-contained accommodation in the Hunter Valley, accommodation Rothbury, accommodation Lovedale, guest houses Hunter Valley.